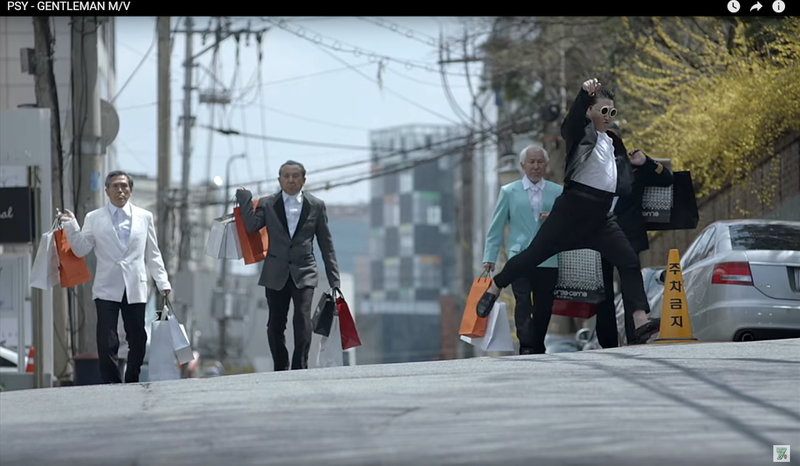 This is the first part of the series: What is the current state of digital marketing in Korea and how did it develop in the past few years? Worldwide, there are only three countries where the default search engine is not Google. 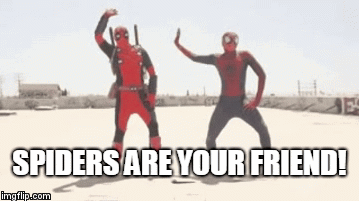 Those are Russia, China and Korea. 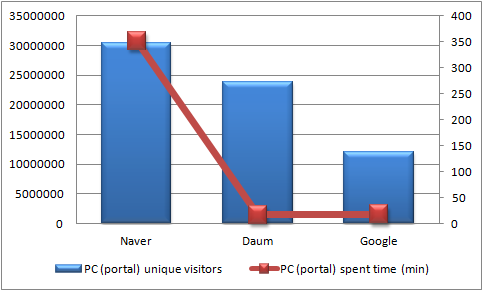 The search engine (or more appropriately, portal) most used in Korea is called Naver (owned by NHN). It is the fifth largest search engine in the world. With Naver you can also e-mail, blog, Q&A, shop, watch TV and read newspapers. 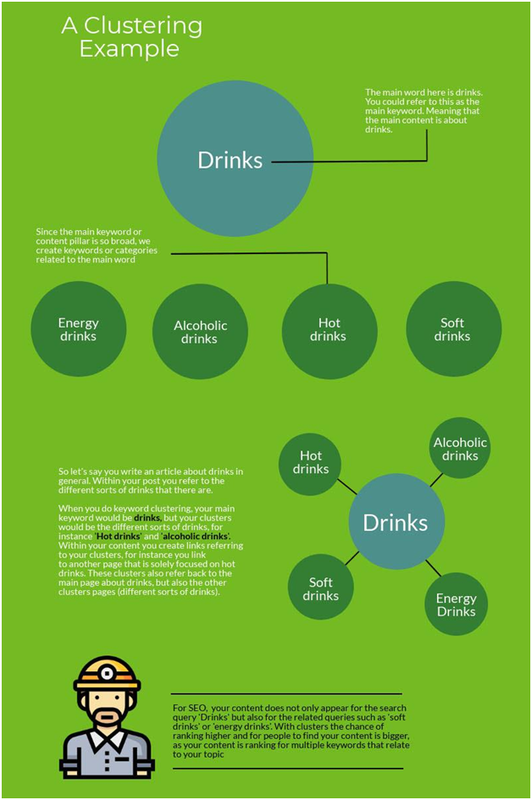 The rate of user generated content is high, all different kinds of content are clearly distinctive in the result page of a query. 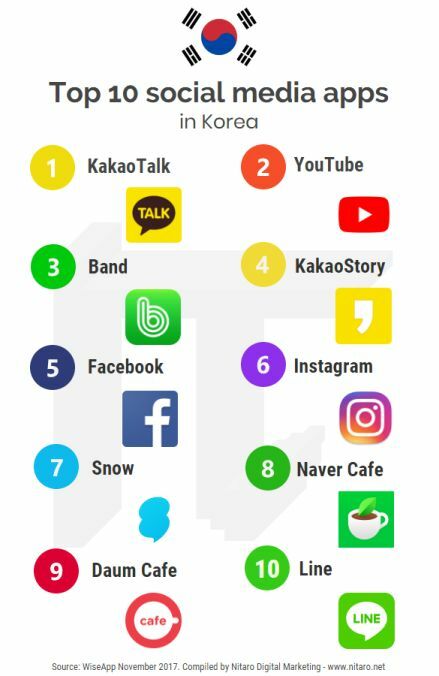 Korea’s second largest portal is Daum, which merged with Kakao (known for the mobile messaging application KakaoTalk). On the desktop search market, in 2015 Naver monthly had 31 million unique visitors, Daum 24 million and Google 12 million. Naver users do more queries, though, as Koreans see it as a good way to pass time. 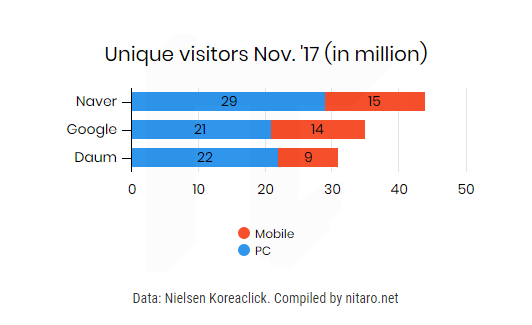 On the mobile search market, Naver had 20 million unique visitors, Google 17 million and Daum 6 million (Internet services). Again, Google is doing worse in terms of time spent. 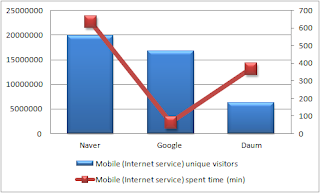 As a mobile portal, Naver had 18 million, Google 14 million and Daum 12 million unique visitors. YouTube is first in Multimedia and Entertainment. So in Korea, Google is doing better in mobile than in desktop search (being the default search application in Android). This is quite important, as the percentage of website visitors from mobile is as high as 35%. (Interestingly, Google claims that people search more on mobile than on desktop.) The conversion rate on mobile is relatively low however, only 1.5%. 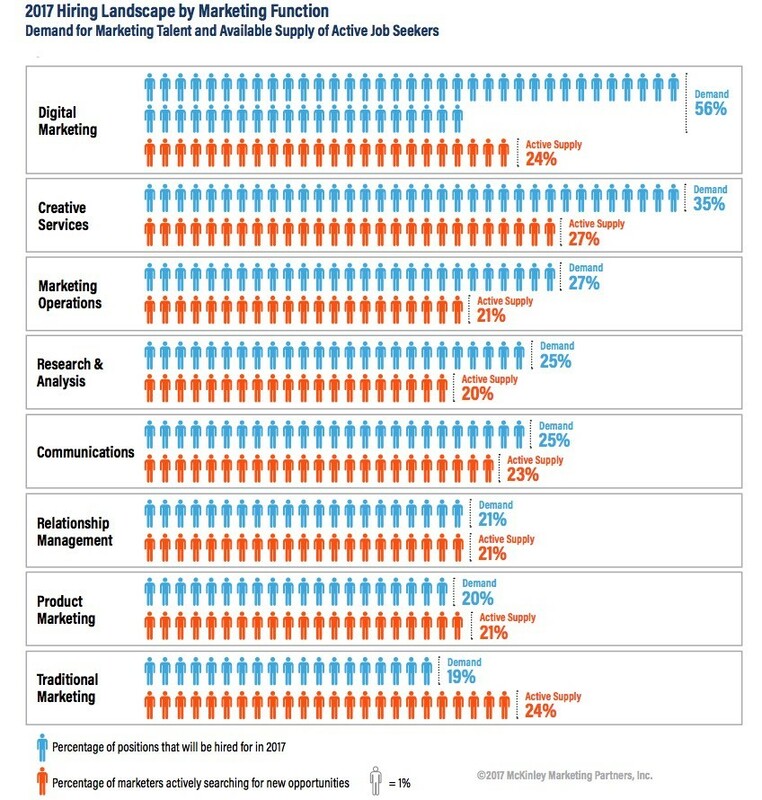 More than half of the digital marketing budget goes to mobile though, this is the highest percentage in the world. Until 2009, and now again, Google (AdWords) has a cost per click (CPC) deal with Daum, Korea’s second largest search engine. All of the other Korean portals use their own pay per click (PPC) system or Yahoo! Overture. Follow these links for Naver SEO and keyword research.